This post has been sponsored by Dover Publications. All opinions are my own. Need a simple science experiment in a pinch? When I first started trying science projects with my kids I fell into the “It has to be really complicated to be amazing” trap. You know, the one where we think that we need to invest in some fancy materials to be able to create an appealing science project for our kids. Here’s a little secret: The best science experiments for kids can be done with common household ingredients. You don’t need special kits or hard to find materials, though sometimes those are fun to add in to your repertoire, you really just need to raid your pantry. 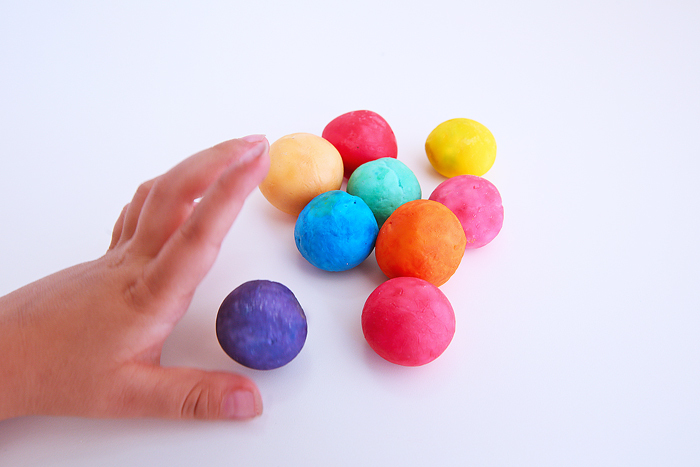 Case in point, today’s simple science experiment featuring polymers: DIY Bouncy Balls. 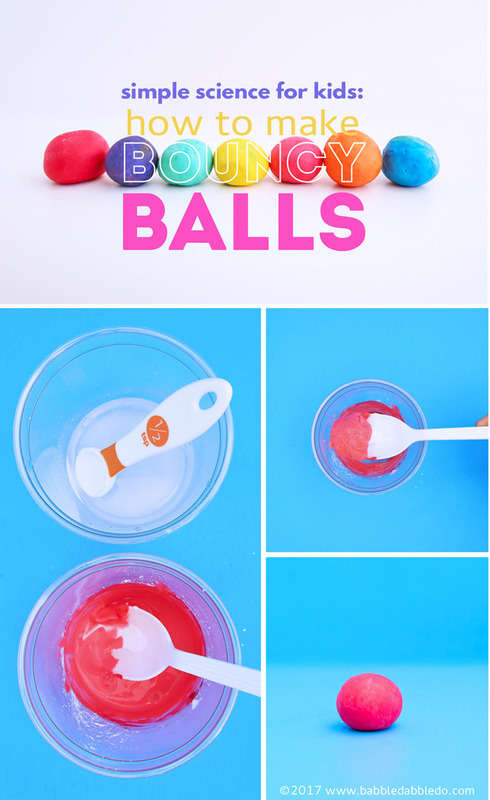 DIY Bouncy Balls is a project from the book Science Around the House: Simple Projects Using Household Recyclables by Roz Fulcher and published by Dover Publications. Dover has kindly sponsored this post but all opinions are my own. And they are all fab! I have actually been a big fan of Dover for a long time and my guess is you have too, only you may not even realize it. Dover has so many titles in print it’s hard to even skim the surface, but what I love most are their science and craft books for kids along with all their reprints of classic math, science and puzzle books. I have waxed poetic about Martin Gardner books in the past, they are all available through Dover. Science Around the House has 57 easy projects and judging by how many post-its I have on it marking projects we want to try, I am positive you’ll find some awesomeness in here! Okay, so let’s make some bouncy balls! 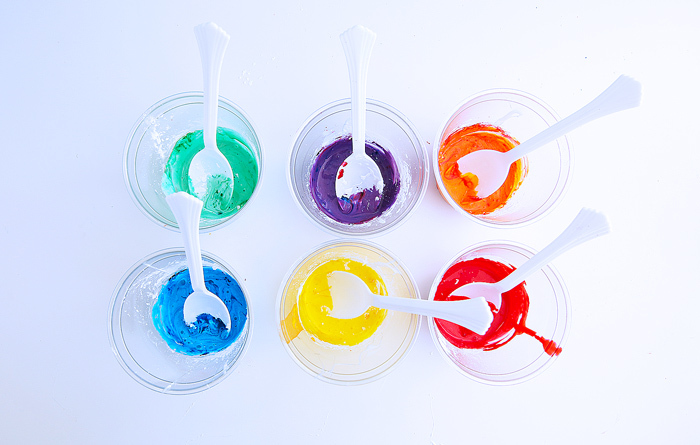 This is a classic science experiment that explores polymer science and you only need a few materials from your pantry/craft stash to make them. 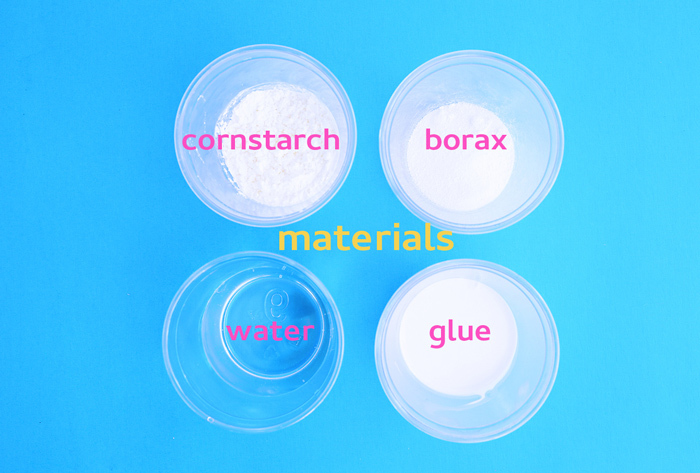 If you don’t have Borax it can be found in the laundry section of most supermarkets. SAFTEY NOTE: Please read this post regarding Borax safety. 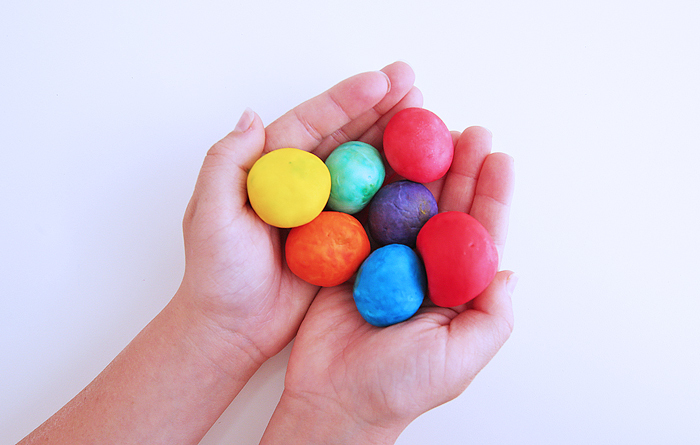 If you have children with skin sensitivities you should have them wear gloves when making the bouncy balls. NOTE: The recipe below is from Science Around the House: Simple Projects Using Household Recyclables. I halved the recipe to make smaller balls. Step One In a cup, mix 1 teaspoon of Borax with 2 tablespoons of warm water. 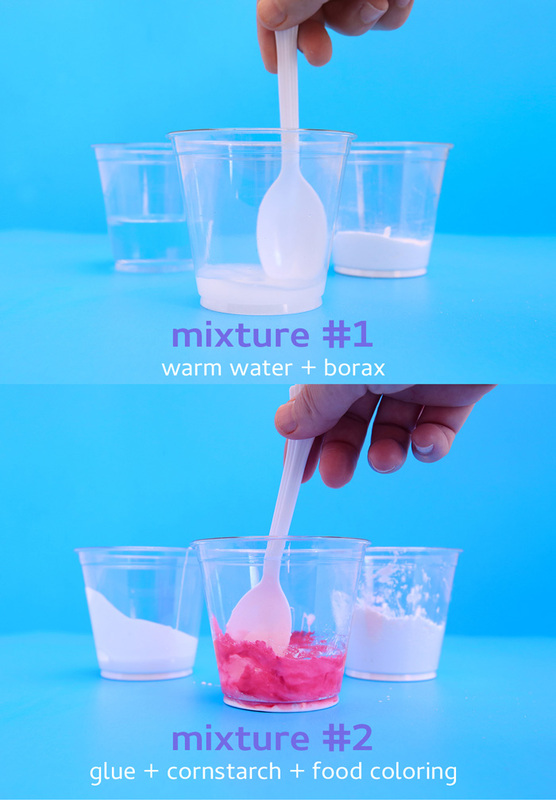 Stir to completely dissolve the Borax. Step Two In a separate cup mix 2 Tablespoons of white glue with 2 teaspoons of cornstarch. Add in a few drops of food coloring and stir to combine. Step Three Add 1 teaspoon of the dissolved Borax mixture to your glue/cornstarch mixture and stir. Step Four Once it starts to harden remove it from the cup and quickly knead it with your hands. As it becomes more pliable, roll it between your palms to form a ball. Be sure to add some pressure as you roll it to smooth out the surface. It will be messy! Once shaped it’s ready to bounce! Be sure to wash your hands after playing with these. 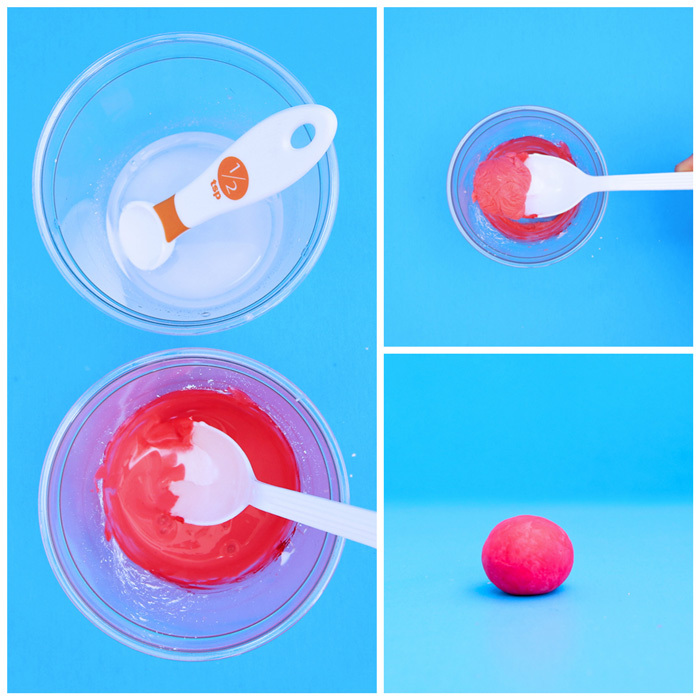 Add a tiny drop of the Borax mixture to the ball once it’s shaped to smooth out the outer surface. This also helps if your ball becomes sticky as you roll it between your hands. Keep a paper towel handy to dry your hands off while shaping the ball. Store these in an air-tight baggie or they will quickly dry out. These are best used and played with within a day or two. They will flatten out a bit as they sit. Try making a few in different colors! Just be sure to wait on adding the borax water until you are ready to knead them. What is a polymer? A polymer is a substance made up of a long chain of molecules. Polymers are typically flexible materials like plastic or gum. In this experiment we are joining two polymers together, white glue and wet cornstarch. The borax causes the molecules in each of the two polymers to crosslink and become even stronger and more elastic in nature. 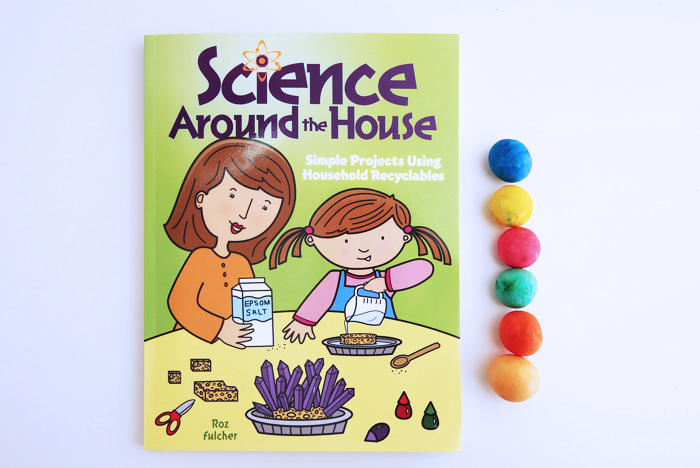 I hope you guys check out Science Around the House: Simple Projects Using Household Recyclables and some of the other Dover Publications science and craft publications for kids! We would love to add Science around the house to our library. I’d like to have their book Easy-to-Make Zoo Animals Finger Puppets. What a great idea. I may try it for my Makerspace program at my local library. It would go well with the Games and Songs of American Children by William W. Newell from Dover. Yes! It’s a fun and easy project! Really enjoy all the great ideas on your blog. All the Dover books look great and I wouldn’t mind owning any one of them. I think I would like the Science Around the House though. It’s a good one 🙂 Tons of easy projects! Would love to find a copy of The illustrated Book of Knights by Jack Coggins. My son would love that one! This looks like a great book! I like Fascinating Science Experiments for Young People too. I think Science around the house would be a great addition to our library. We are a museum, and while we strive to stay current and modern, we also want the participants to know how it was to live in the “olden” days, and using things we don’t have to buy would be a wonderful way to show the kids. My kids love the Dover activity books. I have that one! It’s good! This is a great idea. I think I would like to have the book Star Girl. Wow, I had no idea the amount of books they publish! There are some really awesome science books on their website I would like to have. Anything that has to do with science would be a wonderful addition to my 2nd grade classroom! 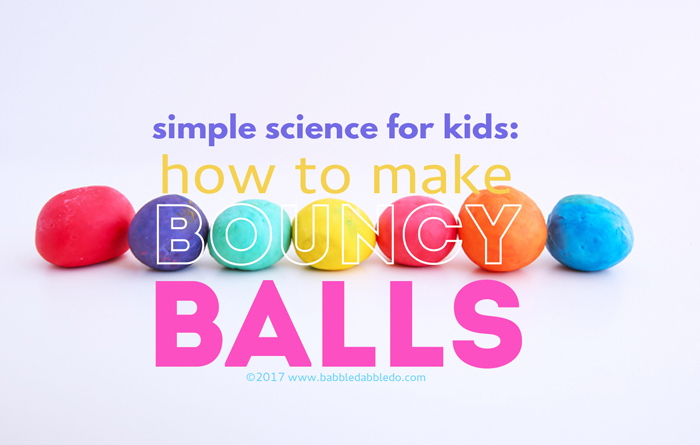 Thanks for a great post and for sharing this recipe for bouncy balls. Looks like we might be making some fun bouncy balls this next school year! woot woot! Your 2nd graders will have a lot of fun with these! My kids would LOVE to make bouncy balls! I think the Cup and Saucer Chemistry book would be a huge hit in our house. These look awesome! I would love to have the chance to win Science Around the House! I find it impossible to pick one book. I love Dover books – it was fun to poke around on their site and see so much cool stuff. It sounds like a perfect activity with my grandchildren. Are the balls durable and lasting or is their bounce temporary? Should getting it wet be discouraged? I guess I will find out tomorrow when we make bouncy balls. Science Around the House sounds like a spark of curiosity for learning and experimenting with science for children. I would enjoy a copy. They keep their elasticity but do tend to flatten out after a day or so. Keep them in an airtight bag and if you have some type of mold with a round bottom try and store them in there. I used an old brownie pop mold. Have fun! For my purposes the Beginning Bird book or the dinosaur book would be great but any of them geared for now to younger kids three ( going on twelve) to twelve or so would be appreciated. The bouncy balls are in the picture in the next couple days. Thanks for the recipe. The beginning bird book or the Dinosaur book would be first choices. The giveaway book sounds awesome! There are so many other great titles to pick from, I would like to add Spot the Differences Picture Puzzles for Kids Book 2, and Our 5 Senses Coloring Book to our library! Yes! I love spot the differences puzzles! Those are my faves too! We would love Science Around the House! 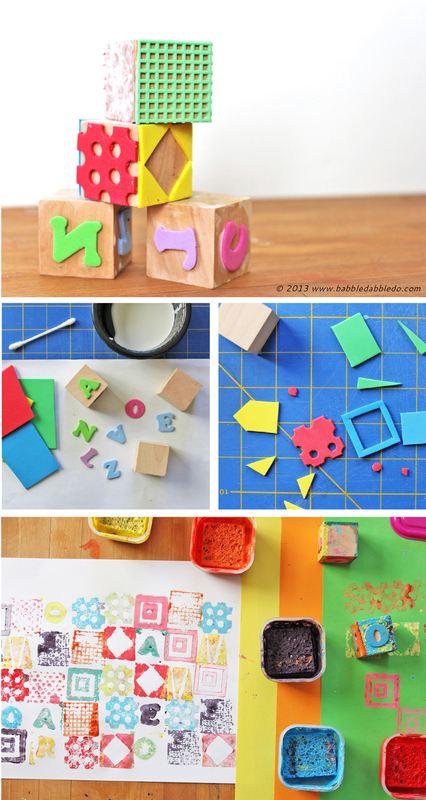 Can’t wait to make these with my preschoolers! We are always looking for new science experiments (that don’t involve food….too many allergies). Would love more ideas like this one. We would love to add Science Around the House to our library. Can’t wait to try making the bouncy balls!! !